Hedley Lodge01432 374747work Guest AccommodationSet within the grounds of the historic Belmont Abbey within touching distance of Hereford city, Hedley Lodge offers a warm and friendly welcome to all its visitors. Hedley Lodge lies two miles to the south of the City of Hereford and is superbly located for visiting this wonderful Marches City. Hedley Lodge is also a great location for touring the beautiful towns and villages of Herefordshire and the Wye Valley. Set within the grounds of the historic Belmont Abbey, Hedley Lodge offers a warm and friendly welcome to all its visitors. Hedley Lodge offers modern, comfortable and spacious 3 Star guest house accommodation and offers a tranquil setting for short stays, holidays and retreats. We offer 17 en-suite rooms available for bed and breakfast, ample free parking and a fully licensed bar and restaurant serving a selection of light refreshments and main meals throughout the week. Hedley Lodge’s wonderful location, large function rooms and expert catering make it the perfect venue for your occasion and family functions. Excellent conference facilities include one of the largest conference rooms in Hereford and the facility of ample free parking. Courtesy and service are our priorities. 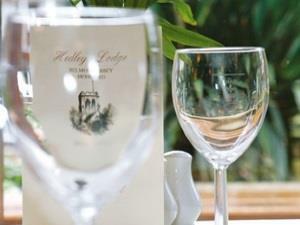 Why not visit us and be assured of a friendly welcome from the Hedley Lodge Staff. 3 miles south of Hereford centre on the A465 Abergavenny Road. Quarter of a mile after Tesco Superstore, turn right up Ruckhall Lane to Belmont Abbey.